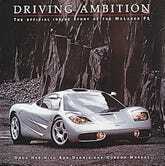 I'm not talking about Gordon Murray's blueprints, nor the Ultima GTR that was used for the prototype. McLaren's 'Lost Weekend' is the story of how the first real version of one of the greatest driving cars ever built, the F1, was born. It was all down to the man who had a plane to catch, and told the team that "the first car would be running by Christmas, come hell or high water." That man was Gordon Murray, and in the morning of December 23rd, he chose a colorful shirt to complement his awesome mustache. Ha also had the key to best car in the world, the physical realization of his engineering genius. He was determined to drive it that morning. The first prototype monocoque chassis / body unit for the first 'real' McLaren F1 - serial 'XP1' - absorbed something like 6,000 man-hours in manufacture at Shalford and was then delivered to Genesis - ready for mechanical completion - early in December, 1992. Creighton: "Gordon had pledged that the first car would be running by Christmas, come hell or high water, and the team virtually worked themselves to death to make sure it would happen". "Gordon was booked on a flight to South Africa at 3pm on December 23rd. He was implacably determined to drive the car first, "even if only for a yard or two in the car park... Many of the guys thought they'd escaped from all-nighters when they left Formula 1. They soon realized they hadn't, and they were just fantastic!" By mid-morning, December 23rd, the Genesis' shop was populated by grey-faced, exhausted ghosts as 'XP1' - unpainted - was lowered onto the workshop floor. With the TAG electronics technicians in attendance, Gordon thumbed the starter-button and the big BMW V12 slammed into life. Clutch out, he clicked it into gear, eased the clutch pedal home... but McLaren F1 'XP1' simply sat defiantly still. The clutch adamantly refused to engage. Gordon: "We tried adjusting it, but ran out of adjustment range. Still it would not bite. It had to be some assembly fault, the output shaft was too long, preventing the clutch from taking up. I had the boys unbolt the gearbox, edge it back, and re-secure it on spacers allowing the clutch to grip".Thus jury-rigged, 'XP1' whooped and burbled out of the workshop, mobbed by the total Genesis team elated (if rocking on their feet), amid the popping of Champagne corks. 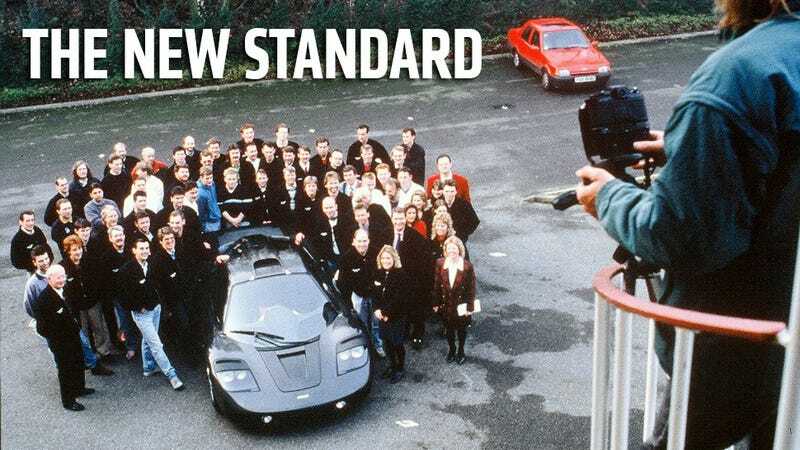 The compact black revolution which stood poised to re-write the world's high-performance motoring standards was then driven the 300 yards or so across "to International", TAG-McLaren's main base on the opposite side of the road, to be weighed on Formula 1 car scales. The result - admittedly lacking some parts and unpainted - was 1,003kg! Gordon caught his plane and, like his team back home, slept happy. They had all earned Christmas Eve off. During hot weather testing in the Namibian desert while in the hands of a BMW test engineer, the car ran offline at speeds over 150 mph clipping a stone gutter causing it to tumble into the desert end-over-end several times, coming to rest on its roof in a near-devastating mess. Thankfully the chassis held together and the driver was able to scramble out to safety through the broken windscreen, but unfortunately it became a complete disaster for the car when fluids from the engine ignited on the hot exhaust manifold and the car burned uncontrollably — 'XP1' was lost forever. The date was March 24, 1993 and the loss of 'XP1' was a rather large setback to the development program, but undeterred by the moment of bad luck, the team pressed on. Another piece of McLaren F1 mythology - and true enough to be published in "Driving Ambition" - was that following news of the crash, Ron Dennis had every fragment of 'XP1' gathered, and placed in a box to be buried - with a suitable tombstone - at the McLaren Museum. I've never seen the tombstone and I don't know where the McLaren Museum is but I still don't doubt the story for some reason.